Before you book your next stay in an Airbnb, check to make sure it doesn’t run the risk of becoming a blazing hot inferno that will lead to your untimely demise. A study published in the journal Injury Prevention found an alarming number of Airbnb venues lack basic safety protections that are required of hotels and other lodging options. 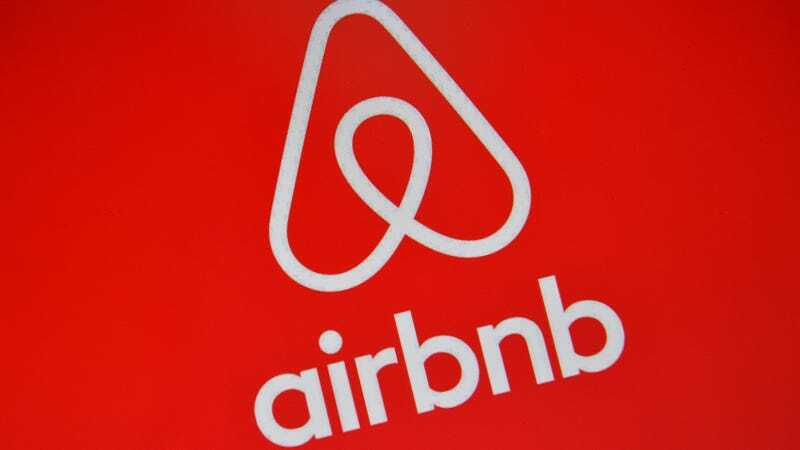 The study, conducted by the Johns Hopkins Bloomberg School of Public Health, examined more than more than 120,000 Airbnb listings in 16 major US cities. While eight in ten properties were equipped with smoke detectors, just over half had carbon monoxide detectors. A majority of them failed to offer fire extinguishers (just 42 percent) or first-aid kits (36 percent). The data, which was scraped from Airbnb listings by InsideAirbnb.com, is self-reported by Airbnb hosts, and may actually overstate the safety preparedness of the residences since there’s no way to tell if the equipment is actually in working order. The precautions taken by Airbnb operators vary from city to city—Denver, Colorado had the highest rate of carbon monoxide detectors at 73.9 percent while Austin, Texas had just 36.9 percent, for example—in large part because there is no national standard governing the requirements of peer-to-peer hospitality services. By contrast, hotels actually have standardized expectations that they have to meet. They are often required to make sure fire escape routes and fire doors are posted in all rooms, fire extinguishers are accessible, smoke detectors are in working order, and fire sprinkler systems are functional. “Hotels and other hospitality settings present unique fire and safety challenges, such as the fact that guests are often unfamiliar with their surroundings and the layout of the accommodation,” study co-author Vanya Jones, PhD, an assistant professor with the Johns Hopkins Center for Injury Research and Policy at the Bloomberg School, said in a statement. Airbnb has made an increased effort to encourage its hosts to properly equip their residences with safety equipment. A page on the company’s website states, “We encourage every Airbnb host to install working smoke & CO detectors in their listing and to check them frequently,” and a support page recommends providing a first-aid kit and fire extinguisher. Airbnb is also offering free smoke and carbon monoxide detectors to its hosts through the end of 2018. Despite the company’s insistence that safety is a primary concern, none of the standard safety equipment is listed on the company’s basic requirements for hosts. Toilet paper, soap, linens, sheets, towels, and pillows all get billing over the likes of smoke detectors and first aid kits. Fires present a pretty significant risk for residential buildings in the US. According to the US Fire Administration, there were more than 1.3 million fires across the country in 2015, which resulted in more than 2,500 deaths, 15,000 injuries and $14 billion in property damage. More than 30 percent of that damage happened at residential properties. Less than 9 percent happened at non-residential buildings, including just one percent at hotels.